Being a part of Southern California, San Diego, unfortunately, sees its fair share or rain storms. San Diegans may even be surprised to learn that San Diego also has a hurricane season, lasting from mid-May to November, although a hurricane threat in San Diego, or almost anywhere in SoCal, is highly unlikely. However, heavy rains and the often resulting floods are not uncommon. San Diego broke its rainfall records in 2015, first in July due to the due to a combination of moisture and the remnants of Hurricane Dolores, and the second in September, when the remnants of Hurricane Linda was responsible for the second wettest September in San Diego with the rainfall of 1.15 inches. An indication that the weather is currently changing in San Diego came on Tuesday, May 16, with the National Weather Service reporting cool weather and rain showers across San Diego County. The change is said to be directly influenced by a trough of low pressure bringing gusty winds. As a responsible homeowner, you should be aware of potential dangers and protect yourself, your family and your home against heavy rains and possible flood damage. Read on to find out more. If you don’t already have flood insurance, purchasing it should be the first thing on your list. Storms invariably result in floods that can sometimes cause massive damage to properties. Even though neither the State of California nor the federal government impose the purchase of flood insurance, it doesn’t mean it’s not necessary, especially for those living in high-risk zones. It’s important to know that just because you have the standard Homeowner’s Insurance, you are not automatically insured against flood damage. 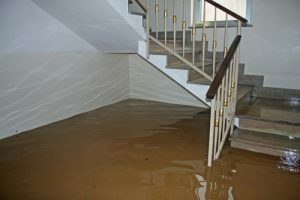 That means that any flood damage to your property would not be covered by the Homeowner’s Insurance. San Diegans can purchase flood insurance through the FEMA’s National Flood Insurance Program (NFIP). They can choose between a building coverage, contents coverage and replacement cost coverage. There are many misconceptions surrounding storms and what you should do if one breaks out. That leads to making mistakes that can cost you dearly. That’s why it’s imperative that you follow the instructions of relevant authorities. Don’t try to assess the situation on your own because you may not have the sufficient knowledge and you may end up jeopardizing your own safety. In case of a severe storm, the authorities will inform you of what steps to take and whether you need to evacuate. If you experienced a flood but didn’t need to evacuate, you still need to know what you should and shouldn’t do when the storm is over. From unplugging electrical devices to removing the draperies and curtains, there are some things you can do yourself. Also, be extra careful not to meddle with things you are not equipped to perform. For example, flood damage restoration is definitely not a DIY project. There’s no such thing as being over-prepared. You should have emergency kits containing first aid, food rations and clean water readily available. Have one prepared for each member of your family and make sure they all know where their designated kit is. In case you cannot get access to information on your TV or computer, you should turn to reliable institutions for instructions and assistance. That’s why having the phone numbers of the following institutions is extremely prudent: local radio station, law enforcement, emergency management office, hospital, public safety/rescue, even your insurance agent, so they can inspect your home after the flood and give a flood damage estimate without delay. Prepare yourself for the upcoming season and protect your family and your property. Otherwise, you risk flood damage due to storms and heavy rains, alongside other forms of water damage such as mold and poria outbreak. KIC Restoration provides 24/7 response to any emergency and guarantees top-notch water damage and flood damage restoration anywhere in San Diego County. We are here for you!